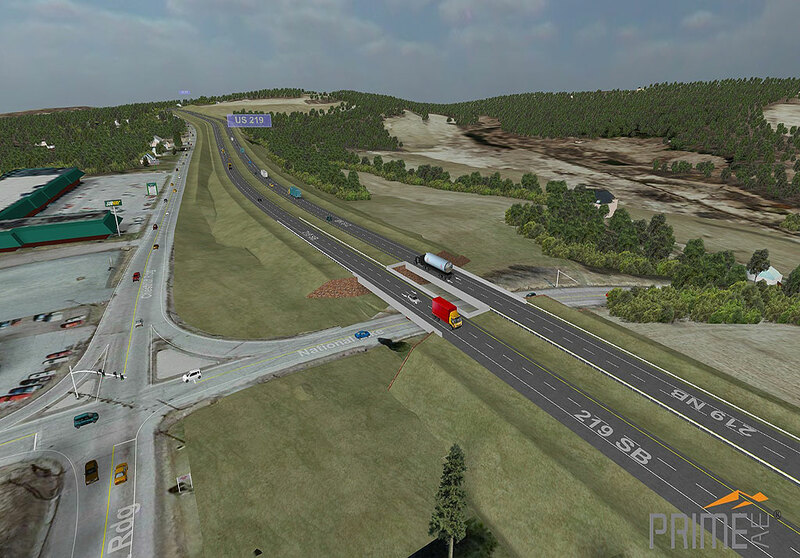 US 219 Improvements from I-68 to Old Salisbury Road - PRIME AE Group, Inc.
PRIME provided professional engineering services for the design of a new 1.4 mile freeway to replace existing US 219 in Grantsville, MD. PRIME was challenged with developing viable, cost effective alternatives to the initial planning alternatives which were deemed either too impactive or cost prohibitive. Several options were developed through sound value engineering using a practical design approach, reducing impacts to environmental resources while still meeting all project goals. PRIME’s design included 450-feet of stream restoration, 2.45 acres of wetland creation, and there were 5.5 fewer acres of forest impacted than the original planning alternative. One of these concepts was selected as the preferred alternative by MDOT SHA and FHWA. 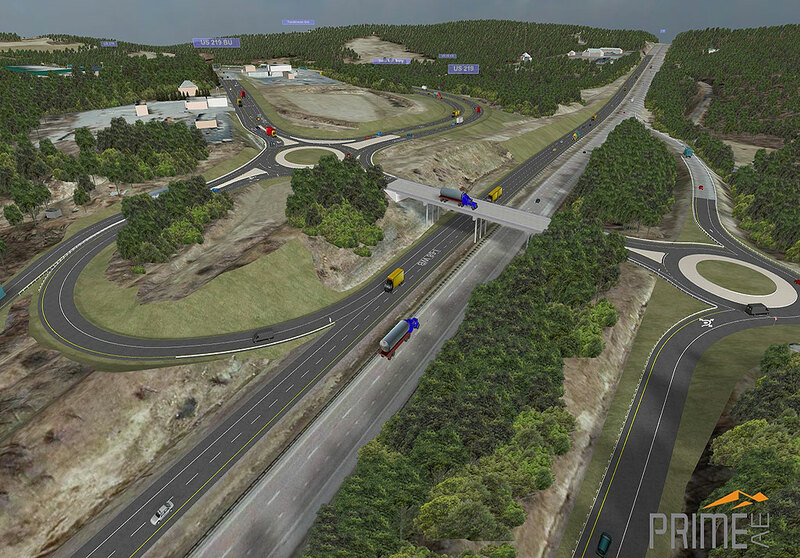 PRIME also recommended an innovative means of presenting the project to help secure buy-in from the public and elected officials with a 3D Augmented Reality visualization which is a first of its kind in Maryland. This tool also helped the team obtain approval from the Maryland Historic Trust by demonstrating viewshed impacts to a site with several significant historic links dating back to America’s founding.